This is not your father’s estate plan. No, your parents never had to worry about usernames, passwords and TOSAs (terms of service agreements). 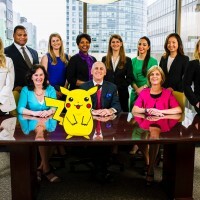 Their estate plans likely focused on the disposition of traditional assets – a house, bank and brokerage accounts, and the like – and were likely fairly straightforward. 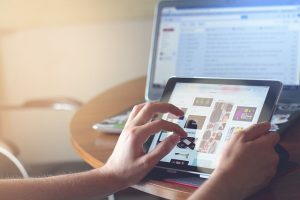 But, increasingly, as our lives have become more virtual, you’ll have to think about how your loved ones and your fiduciaries can legally gain access to your digital assets should you die or become incapacitated, according to Suzanne Brown Walsh, a trusts and estates attorney with Murtha Cullina LLP. Getting a handle on digital assets requires a knowledge of one, traditional estate planning and traditional estate settlement; two, digital assets; and three, the difference between traditional assets and digital assets. Traditional estate planning and estate administration typically involves the naming of a fiduciary, an executor for your will, a trustee for your trusts and a personal agent for a power of attorney. In the world of traditional estate planning and estate administration, those fiduciaries have the ability to manage or distribute traditional assets and accounts, bank and brokerage accounts, retirement accounts, property and the like when you die or become disabled. But that’s not the case when it comes to digital assets. A digital asset is something that exists online and is probably intangible. It might be, for instance, an asset with mere sentimental and no monetary value such as a photo or voicemail, or it might be an asset that has monetary value, according to Walsh. It could be, for instance, a blog or a domain that you own; digital currencies, such as bitcoin; accounts with iTunes, Amazon, LinkedIn, Twitter, Facebook; as well as reward programs and credit card points, according to William Bissett, a certified financial planner with Pinnacle Advisory Group and founder of Principled Heart. The federal privacy laws do, however, allow companies to provide access to online accounts to third parties with their customer’s lawful consent, Walsh says. Given these complications, Walsh recommends that owners of digital assets draft – with the help of an estate-planning attorney – documents that give a personal agent or representative the ability to access online accounts in the event of the owner’s death or incapacity. Those would include a digital asset authorization and consent form, durable powers of attorney, and trustee authority over settlor’s digital estate. See samples here. “We suggest that our clients sign it and give their fiduciaries and their agents under power of attorney their lawful consent to access their online accounts that might be subject to these privacy laws,” says Walsh. Another to-do is to create an inventory of your digital assets, user names and passwords (My Digital Audit is one example of a digital asset inventory form). You should also consider using a commercial DEP service, such as those found at The Digital Beyond. One such service stores all your user names and passwords and only requires that you remember one user name and password. “That way, if (you) get hit by the beer truck, (your) family will only have to remember one user name and password,” Walsh says. Also consider that some online companies, chief among them Google and Facebook, have policies that give you the ability to dictate who can look after your account in the event of death, incapacity or inactivity. And Google has an Inactive Account Manager, which is a way for users to share parts of their account data or notify someone if they’ve been inactive for a certain period of time. See About Inactive Account Manager. Why do you need to plan your digital afterlife? To be fair, you might question the need to plan for your digital afterlife. But there are many reasons, according to Walsh. One, your digital assets might be worth a lot of money, and you’ll want to make sure you there’s no financial loss to your estate, says Walsh. In 2013, for instance, McAfee noted the average U.S. consumer had digital assets they valued at $35,000. Also, you might want to protect secrets from being revealed, a mistress or child born out of wedlock, for instance. You’ll naturally want to avoid identity theft. You’ll also need to know that digital asset laws are changing, and for the better. Walsh and others, for instance, have worked on something called the Revised Uniform Fiduciary Access to Digital Assets Act (RUFADAA). RUFADAA, which has been described by at least one expert as most important law you’ve never heard of, gives estate planners and fiduciaries greater ability to access and to manage digital assets, before and after death, according to Walsh. Read this post by Jeffrey Levine, chief retirement strategist at Ed Slott & Co., for more insight. Attorney J. Kenneth Harris, founder of Harris Law Offices, in light of a December 3, 2015, U.S. News & World Report article about what happens to digital legacies when one dies, discusses the importance of digital effects in estate plans. According to the U.S. News & World Report article, having all this information in one place is crucial in the event of an emergency or death. Additionally, if someone is incapable of accessing the assets of a loved one that has passed, those assets can disappear. To ensure your assets are passed on, Harris strongly recommends making a thorough inventory of all your digital assets, listing the name/service provider of the asset, the nature or type of account, the user name, password and answers to security questions. This list should be kept with your will, power of attorney and other important papers. Once you have made this list you then need to decide what should be done with these accounts: closed, transferred to someone else (i.e. bank accounts for the purpose of estate administration), etc. “You will need to appoint someone to manage these digital assets, who may or may not be the same person you name as executor of your will,” said Harris. Lastly, since the laws in this area are still developing, one should provide specific instructions as to what they want done with these digital assets and authority granted to your digital personal representative to manage and dispose of digital assets. This is particularly important since most states do not have laws addressing what happens to digital assets upon the death of the owner. “This problem is further compounded by each provider having their own service provider agreement and different ways to deal with this issue,” said Harris. J. Kenneth Harris, founder of Harris Law Offices, which has been in business for more than 20 years, handles a variety of probate and estate planning matters, including probate administration, wills, trusts, living revocable trusts, charitable planning and retirement plan distribution. He also represents clients in other legal matters such as commercial law, transactional law and real estate. For more information or a free consultation, please call (856) 681-0429. The office is located at 2 White Horse Pike, Haddon Heights, NJ 08035. 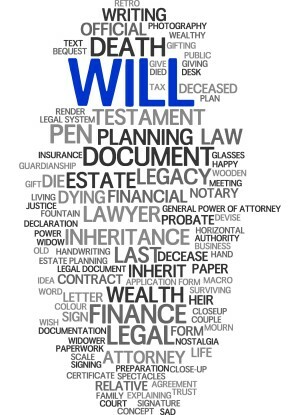 Click here to view original web page at What is Digital Estate Planning and Why Do I Need it? Creating a personalized estate plan has become more and more important these days. Estate plans nowadays need to include digital estate planning as well. What does that mean? A digital asset is basically anything that is either based on a computer or involves the internet. Common examples are email accounts and online businesses. Who will inherit those unique assets when you pass away? Better yet, why is it important? Communications technology has become more and more popular. As this has happened, digital assets have also become more common. Only a decade ago, not many of us would have even considered a phone to be one of our most important possessions. Today, however, most of us rely almost entirely on our cell phones to communicate, conduct business, store sensitive information, and much more. Although the phone itself is not a digital asset, the information it contains is an asset. Cell phones are also a way to access other digital assets you might own. What does digital estate planning involve? Digital estate planning involves issues such as how to protect the assets contained on a cell phone or laptop; who will have the authority to access your email accounts and online bank accounts. More importantly, who will have the basic knowledge that these various digital assets even exist? Consider this example. You sell items online using an eBay or PayPal account, which is linked to your bank account. Someone needs to know how to access those accounts and be allowed to transfer money if you become incapacitated, for instance. Even after you die, your executor needs to know which accounts exist and how to access them. You also need to decide who will ultimately inherit them. This is what a digital estate plan is for. 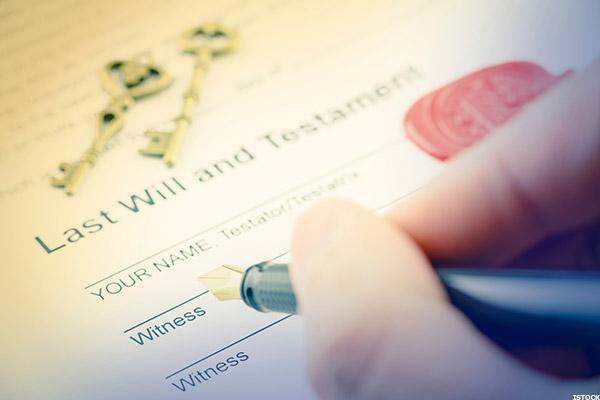 Historically, an estate has consisted of a will, trusts, power of attorney appointment, life insurance policies, and any property that a person owned, including financial accounts. Back then, paper documentation was the only method of recording these estate planning tools and they would often be collected in a folder in a safe or desk drawer. That way, family members would easily be able to find the information after the person passed away. Other information, like bank statements and bills, could be obtained through the mail. Now, however, most of this information is routinely digitized. So your financial, business, personal, and administrative documents will likely exist in a digital form. While many people manage their finances, businesses, and personal lives online, very few actually have organized or centralized accounts. This can mean that managing and distributing these digital assets will be very difficult after the owner has died, and can lead to confusion, or even worse, denial of access. Even though you may have a business with an actual building, you are certain to still have some digital assets that are tied to that business, such as online access to a bank account. In that situation, there is still significant value in being able to access the online components of your accounts because they can provide easy access to key information that may be necessary for settling your estate. What can a digital estate plan really do for my family? In general, estate planning can protect your business assets from taxes, control how your assets will be distributed and more. Everyone benefits from a basic estate plan, no matter what their wealth or status may bees. This is also true for small business and family-owned businesses. Understanding why small businesses need an estate plan will help you in making decisions on how to organize and business and plan for succession of that business. Join us for a free seminar! If you have questions regarding digital assets, or any other estate planning needs, please contact the experienced estate planning lawyers at the Schomer Law Group for a consultation, either online or by calling us at (310) 337-7696. WHY DO 95% OF ALL ESTATE PLANS FAIL? Estate planning attorneys, accountants and other wealth industry professionals, though most good at their specialty, have a tendency to only address what we categorize as the “business side” of estate planning for their clients. Unfortunately for the client, the scope of that approach is much too narrow. While the business of high net worth is often the most important for the owner, there are four other areas for estate maximization that also exist. Know that all five of the dimensions (especially 1-4) must be addressed before you, and those you care about, can feel secure and safe. But estate strategy development should not end there. When it does, which is often, the byproduct is extraordinary levels of vulnerability for the estate owner, the owner’s family, and the assets themselves. If your strategy doesn’t consider each of the five dimensions (especially 1-4), then you’re probably executing a sure-to-fail estate strategy. It’s far from complicated, but lack of attention to the big picture causes catastrophic outcomes. It’s why most estate plans fail. If there’s one thing more important than the money, the assets and affluence itself, it’s understanding and adjusting for the array of wide-ranging effects that wealth creates. As fervent as you are about managing and defending the measurable worth of your assets, it should also be high on your list to maximize the overall effects of your wealth. Collectively, this is how The Five Dimensions For Estate Maximization cures problems and accomplishes desired results. Certainly there is no discussion without the wealth, but the reality is that the effects and consequences of it, if not properly accounted for, will likely produce disastrous aftermaths. Google: “estate plan disaster” for examples of common tragedies. All different, yet extremely costly estate plan problems that would’ve been relatively easy to avert if properly handled prior to the owner’s passing. The list of lost legacies is long – some associated with household names, but most are not – and continues to grow unnecessarily. It is my personal desire, and the mission of the Kubler Financial team, to make people aware that costly omissions likely exist in their current plan and deliver the strategy that enables you to direct and transition your assets in the most flawless way possible; to create successful family missions of wealth stewardship and a legacy of well-being for at least two generations after you, and longer if you desire. Our clients receive the benefits of our knowledge and wisdom for each of the five dimensions for estate maximization. I am 100% confident that you too will gain from reviewing and committing to each of these. Origination and implementation of a solid strategy for your estate that protects and increases the bottom line net worth of your collective holdings; so your accumulated assets, one day to be passed on to your family, other heirs, to trusts, charity or various combinations, reflects the absolute largest valuation possible. It includes anticipation and preparation for what happens after the wealth owner passes with regards to estate taxes, avoiding probate and other unnecessary legal expenses, wills, trusts, insurance, working with the IRS, etc. Often the most disastrous of all, this is an area where unintended, but emotionally severe consequences are widespread. Understanding, empathizing with and addressing your family’s dynamics and individuals regarding mindsets about affluence, feelings, levels of control, relationships with each other, the sibling rivalries, keeping the family together and alleviating the potential for personal suffering, agony, depression, other forms of devastation and even abandonment by members due to an estate plan’s lack of forethought. People themselves, their personalities, characters and value systems (low levels of integrity, loyalty, honesty, etc.) are a large cause for complications. Poorly thought-out estate plans provoke incredible levels of emotional suffering. An ability for you to anticipate this dimension as a future problem area is key. The readiness level of family heirs determines much regarding the future of the estate and the fabric of the family itself. Has the long term mission with key players truly understanding what’s ahead, with roles defined and a strategy developed to accommodate it been developed and currently in progress? Is that important to you? To keep it in the family with members who have the aptitude and are prepared to properly manage it all when the time comes? Long-term succession success can occur when most members share the values and attitudes that correspond with ambitions for that. Families must employ sound communications, espouse financial literacy and positive mindset development about money within and throughout the family, inheritance and prudent decision making skills regarding wealth transitions. Do you want your grandchildren to receive some of the fruits from your life’s great work? Is developing that kind of a legacy of important for you? Philanthropy is the most discretionary of the five dimensions, but most of our clients have discovered great satisfactions associated with giving to charitable causes. Almost all donate or have created family foundations and have developed strong personal relationships between wealth, family, philanthropy and spirituality. In addition to being pleasurable and empowering, it also helps reinforce and remind givers that money usually carries its burden with it and can harm or unsettle the recipient if given without the right amount of caution. 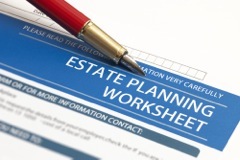 The estate planning industry is failing its clients, and has been since its invention. It’s a global crisis, but not because of what you might think. The industry’s failure isn’t due to rampant incompetence or ill repute, but is due to the professionals taking a much too narrow view of matters. Naturally, this allows for oversights and omissions. Certainly, there are complexities associated within each of the five dimensions, but details don’t create the quandary. Lack of consideration of all of the critical elements is the problem! • 70% of the wealthy who’s estates transitions fail; meaning involuntary loss of assets. The so-called plan comes unglued, then collapses. • Or of the 70% of the high net worth families, whose money is entirely spent, or lost otherwise, before the end of the second generation. • Which by the end of the third generation, 90% of families no longer have their wealth. A dismal 10% success rate. I encourage you to think about the information contained on this page and how it relates to your own situation. The statistics mentioned above are real and have confounded the estate planning industry forever. Please use the ‘Five Dimensions For Estate Maximization‘ as a checklist and a guide, then ask yourself if any or all of them are being overlooked in your estate plan and overall family strategy. Treat the few moments it takes to review this page as an important time for yourself. I would suggest that you read it more than once. Know that after you have adequately addressed each of the five dimensions, then you can feel safe that your estate is truly maximized. I’m easy to reach and look forward to sharing more about estate maximization with you. P.S. It’s a statistical and historically proven fact that seventy percent (70%) of all estate transitions lose control of assets, and by the end of the third generation, 90% of families no longer have their wealth. There is no good reason to be a member of these groups!